Wendi Zwaduk - Romance to make your heart race: Mystic Perceptions TODAY!! 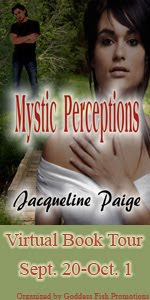 Today, Jacqueline Paige, stops by with her book Mystic Perceptions. Want a copy? Click the cover or the title. Want to follow her? Click here. 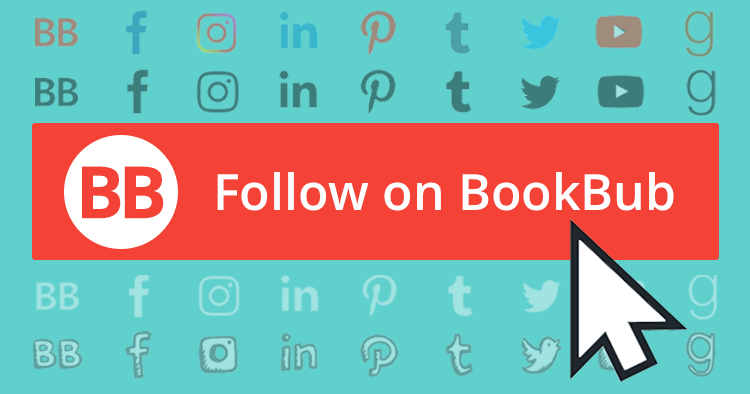 Want to follow her tour? Click here or the tour banners. Oh and don't forget to comment. You can win exciting prizes! But on to our interview! Thanks for stopping by. Glad you're here. But let't get down to the nitty gritty. How long have you been writing? I’ve always wrote in one way or another, but I didn’t attempt anything serious until 2005 or somewhere in there. Hey, when you gotta write, you gotta write. And who says it all has to be serious? Now, what comes first: the plot or the characters? I think this varies from story to story. Sometimes the perfect character will take form, then I have to find the right story to put them in. Other times an entire plot will pop into my head. I have written on less than that though. A few times a random scene comes to me (and it’s never related to what I’m working on that moment) so I’ll jot it down and then go back later and try to figure out the before and after. My book that is coming out in October started with the opening scene of someone watching a child grow throughout the years. Aww. The scene sounds sweet. Now that we know about the characters, what's the skinny on the title? How do you come up with the titles to your books? Finding the right title can be hard, or so I’ve discovered. I can’t type without a title at the top of the page, I’m not sure why, so after my characters come to life I usually try to figure out the title. I’d like to say I have a system for doing this, but I don’t really. Only a few times have the titles come easy like Beltane Magic and In Our Dream, other than that it’s a long list of words and synonyms to make it the most appealing, yet descriptive title I can come up with. I find the titles hard to come up with, too. No one ever said writing was easy. What inspired you to write your first book? In truth, the first one started as a joke. A good friend of mine was going away (for a month) and I knew I was going to die of boredom without her. So I asked her what I was going to do without her for that long so she flippantly told me to ‘write a book’. So I did just that. At first I just started typing, but then the entire story began to come to me and I couldn’t type fast enough. I had no idea of what I was going to write next, even as I was writing it but by the time I was finished (3 weeks later) I had three stories in a series roughly plotted out. The Magic Seasons was born from me trying to get the last laugh. 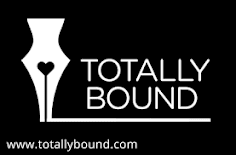 Of course when my friend returned and I sent her the book she had told me to write, she was surprised – I was shocked when she said how good it was. Hey, the best things come out of dares. Well, those and a few bad things, but we can't all win. Hee hee. How many books have you written? Which is your favorite? I have written 16 in total (9 published so far) with 14 more plotted or partially written. My favorite? That’s a hard question to answer. My most favorite would have to be Salvation, it was the most challenging to write for me. Taking a blunt modern woman and tossing her onto the same pages as a 200 year old pirate ghost opened a whole new world of language and viewpoint for me. But over all I like everything I’ve written (or I wouldn’t have written it). I love all the stories I've written, even the stuff not pubbed. Have you ever cried during a movie? What movie or why not? While not pregnant, yes. The final Prison Break movie. They killed Michael! Why would they do that??? I was not impressed they kept Link’s bare chest alive and killed off Michael with the pretty eyes. Couldn’t we have kept the chest and the eyes? While pregnant I think I even cried during The Lion King! I think I cried duringThe Lion King. It was a heart wrenching movie in spots. Favorite article of clothing? Definitely my jeans. Give me good old fashioned boot cut jeans (with the waist near my waist and not my hips) any day of the week. Ah, you're one of the lucky ones who wear them that high. I can't do it. Looks goofy on me. But whatever works, is what works. What does it take to get you in the mood to write? Do you have a schedule or just when inspiration strikes? The want to write is always there. Unfortunately the opportunity is not. I am a mom to five (four still at home) and work 60-70 hours a week outside of my writing cave – so even if I do schedule it, it may not happen. My family just knows when I plug in the earphones and sit down with my netbook or laptop that I am in “do not disturb” mode. I wish my family got that memo. Seems like when I open a word doc, that's the moment they all show up. If you could write the story to make you a millionaire...the NYT Bestseller...what would yours be? I’m inclined to say something with vampires, because that seems to be the trend. However I’ve never been one to “go with the flow” so my bestseller would more than likely be about magic. Not the Merlin kind of magic. I’m thinking young girls during the scare of the burning times – they invoke a spell to pass their magic onto a future blood relative, to protect themselves from persecution and torture. Of course when the relative from this day and time begins to discover she can do magic, she’s a little more than concerned with her own sanity. Walking slowly into the room, her heels echoed on the old wooden floors making it seem emptier than it ever had before. It had been years since this room had been filled with her family, with love. The curtains, once red were now closer to a faded orange, the carpet thin and worn. How many more years would pass before the memories no longer haunted her? Her thoughts stopped when she sensed he’d entered the room. He made no sound when he moved up behind her, offered no comforting words, for he knew after this many years how to soothe her in the grief that always returned. His gentle touch slid down her hair, moving it away from her neck, his breath a whisper against her skin as his lips brushed over her throat. He was her world now, his touch more sweet than anything had been in the life before she became what she was now. Turning, she looked into his dark smoky eyes and saw the love there for her, the love she’d have for an eternity and more. Very nice. Now you're trying to figure out how to get that into a story... I would be. An excerpt? Not a problem! I really enjoyed the questions and yes after I did that little paragraph and read it over my brain was already plotting the story for it. I enjoyed the interview. Congratulations on the new release.